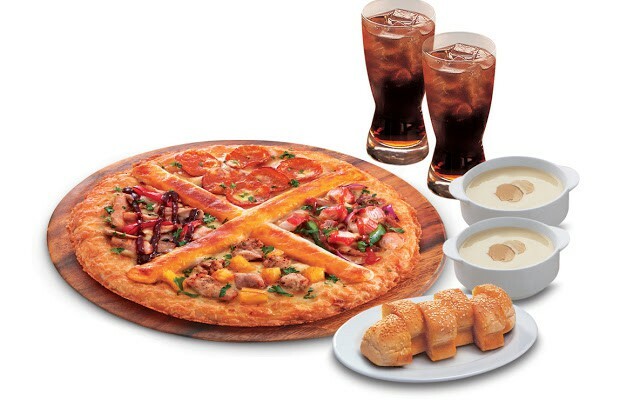 XPERIENCE THE XTRAORDINARY WITH PIZZA HUT’S XTREME PIZZA! In conjunction with the release of the upcoming highly anticipated movie, the X-Men: Apocalypse, Pizza Hut Malaysia is inviting fans to indulge in its extraordinary creation, the Xtreme Pizza featuring four exciting toppings in one pizza. The Xtreme pizza comes in four superhero-ish themed … [Read more...] about XPERIENCE THE XTRAORDINARY WITH PIZZA HUT’S XTREME PIZZA! MY BOX, MY WAY! – FEAST FOR ONE FROM ONLY RM9.90! 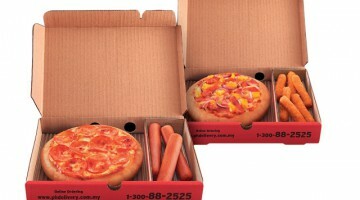 The new My Box by Pizza Hut caters to individual preferences in a group. My Box is equally designed to satisfy those who prefer to have their meal their way at a great price. The My Box comes in 5 pan pizza choices (Tropical Crab, Tropical Chicken, Chicken Overload, Chicken Pepperoni, … [Read more...] about MY BOX, MY WAY! – FEAST FOR ONE FROM ONLY RM9.90! HUT’S DELIGHT MEALS BRINGING YOU MORE FOR LESS FROM ONLY RM14 PER PERSON! 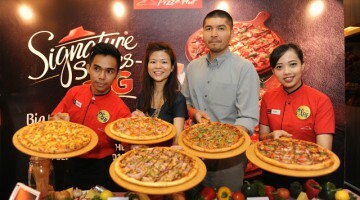 Pizza Hut Malaysia continues to surpass customers’ expectations by offering even more value for money combos. Now their popular Hut’s Delight Meals range offers abundance and variety for dine-in customers at prices as low as RM14.00 per person. The Hut’s Delight Meal is available in combos … [Read more...] about HUT’S DELIGHT MEALS BRINGING YOU MORE FOR LESS FROM ONLY RM14 PER PERSON! A TRULY ROYAL TREAT AWAITS YOU AT PIZZA HUT! 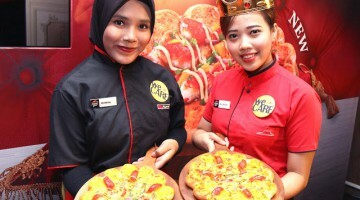 Pizza Hut Malaysia believes that its fans deserve royal treatment in whatever way possible. With this in mind, Pizza Hut created an extravagant pizza, the Cheesy Crown featuring a unique crust with an abundance of toppings. This delicious creation is gracing the pizza scene this festive season … [Read more...] about A TRULY ROYAL TREAT AWAITS YOU AT PIZZA HUT! 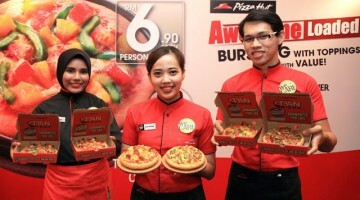 AWESOMELY LOADED PIZZAS AT PIZZA HUT, ONLY at RM6.90! Pizza lovers can now indulge in six NEW personal-size pan pizzas, awesomely loaded with chunkier and heartier toppings only at RM6.90 each for take-away orders! These Awesome loaded toppings are also available for Dine In and Delivery. Promotion starts on 4th Jan 2016 and available in all 378 Pizza … [Read more...] about AWESOMELY LOADED PIZZAS AT PIZZA HUT, ONLY at RM6.90! EVERYONE GETS THEIR FAVOURITE WITH THE NEW 4 FOR ALL FROM PIZZA HUT! Pizza Hut Malaysia is giving all pizza lovers the chance to eat merrier and enjoy a variety of pizzas with the new 4 For All promotion. 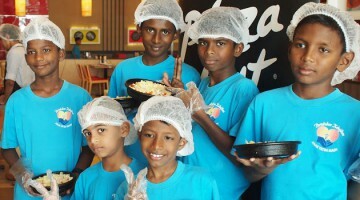 With the tagline “Any Toppings, Any Crust!” the new 4 For All features four personal sized pizzas with your choice of toppings from the Family Favourites range … [Read more...] about EVERYONE GETS THEIR FAVOURITE WITH THE NEW 4 FOR ALL FROM PIZZA HUT! NEW SIGNATURE SERIES ONLY AT PIZZA HUT IT’S QUALITY YOU DESERVE AT A PRICE THAT YOU LOVE – ONLY RM12.00 NETT!! 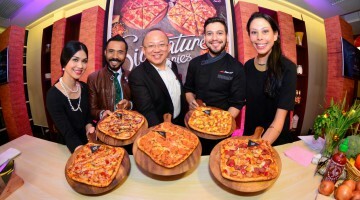 Pizza Hut Malaysia is classing-up its delectable menu by bringing in chef quality pizzas in its new promotion – The Pizza Hut Signature Series. Endorsed by Celebrity Chef Nik Michael, Pizza Hut will be selling it for a mind-boggling introductory price of RM12.00 nett each for dine-in and take … [Read more...] about NEW SIGNATURE SERIES ONLY AT PIZZA HUT IT’S QUALITY YOU DESERVE AT A PRICE THAT YOU LOVE – ONLY RM12.00 NETT!! A PASTRY CROWN PIZZA LUNCH WITH MALAYSIA’S QUEEN OF RNB – NING BAIZURA! Ten lucky winners from the contest held on Pizza Hut’s Facebook page along with their guest were privileged with the company of our very own Queen of R&B, Ning Baizura, for a lunch date at Pizza Hut, Quill City Mall yesterday. Being given a once in a lifetime opportunity of having an intimate … [Read more...] about A PASTRY CROWN PIZZA LUNCH WITH MALAYSIA’S QUEEN OF RNB – NING BAIZURA!